Owing to our vast years of experience, we are engaged in providing Piping and Erection Services. We are able to customize plant according to the specifications required by our valued customers. High-grade steel and other components are obtained from the authorized vendors of the industry to manufacture these products. Owing to its durability and efficiency our products and services are widely appreciated by our clients. The Piping & Erection Services are rendered at reasonable prices. 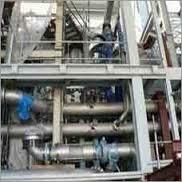 Contact us for -: Plant Piping Services, Plants Erection Services, Plant Fabrication Services and many others.